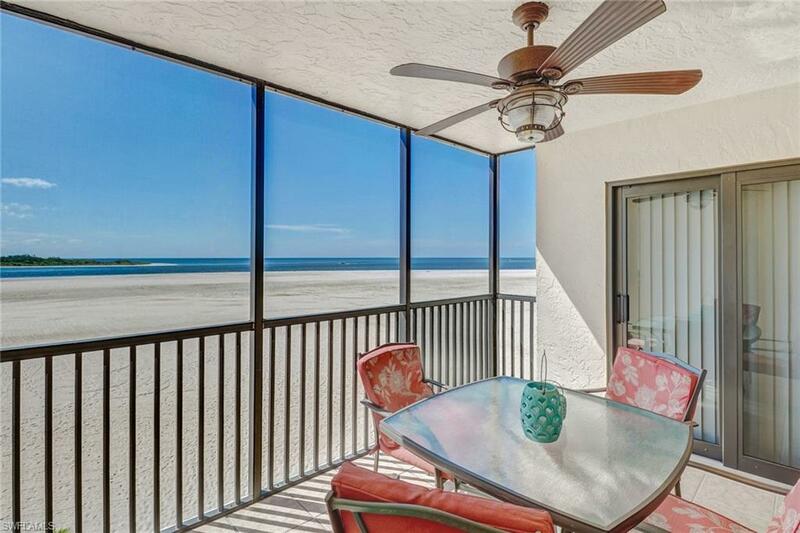 Offering captivating views of the sandy white beach and gulf waters of Big Carlos Bay, this tastefully decorated 2 bed, 2 bath turnkey unit awaits your arrival. The highly desirable split bedroom floor plan affords ample privacy for both you and your guests. 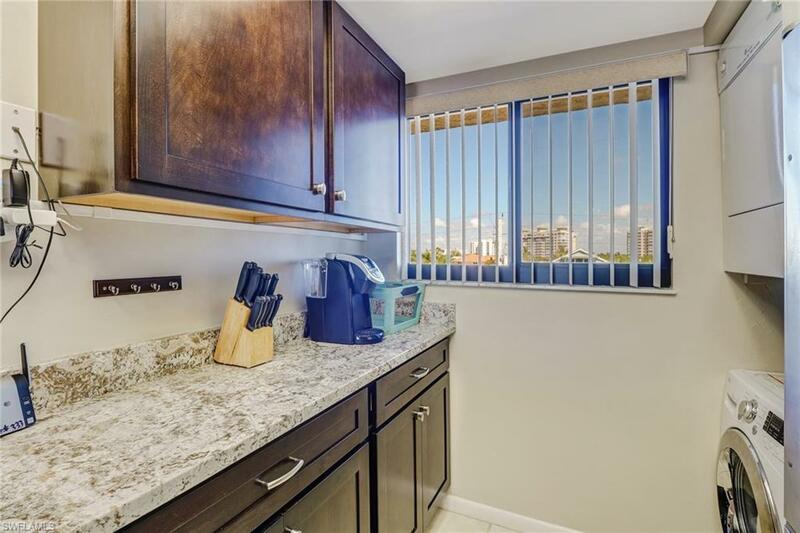 Newly remodeled in 2015, the upgraded features of this beachside gem include neutral colored furniture, custom cabinetry, granite countertops and stainless steel appliances to name a few. 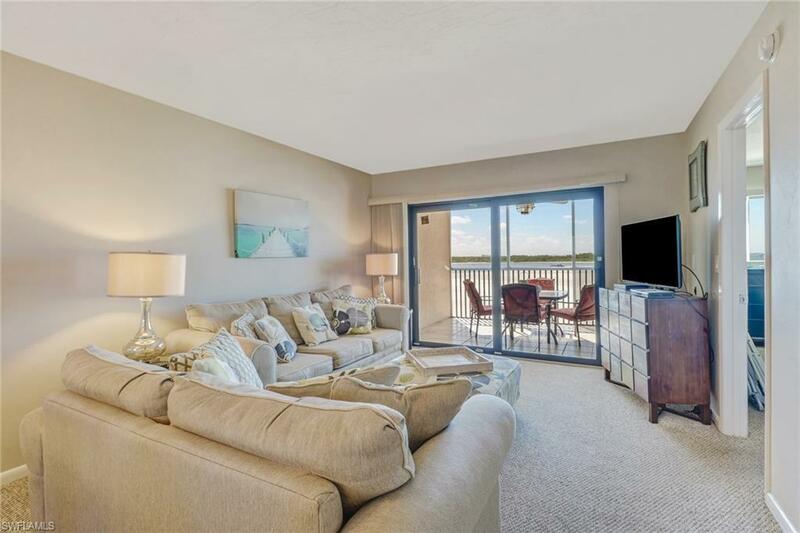 Location is everything and at the very southern tip of the island you will be spoiled by uninterrupted views of the expansive beach from the master bedroom and 3rd floor screened-in lanai. Feel like taking a dip? Spend your days relaxing on a lounger by the spacious, in-ground heated pool while you soak up the warm Florida sun. Looking for some entertainment? Step outside the front entrance of your building and board the trolley for a peaceful 5 mile ride to the fabulous shops, restaurants and nightlife of Times Square. 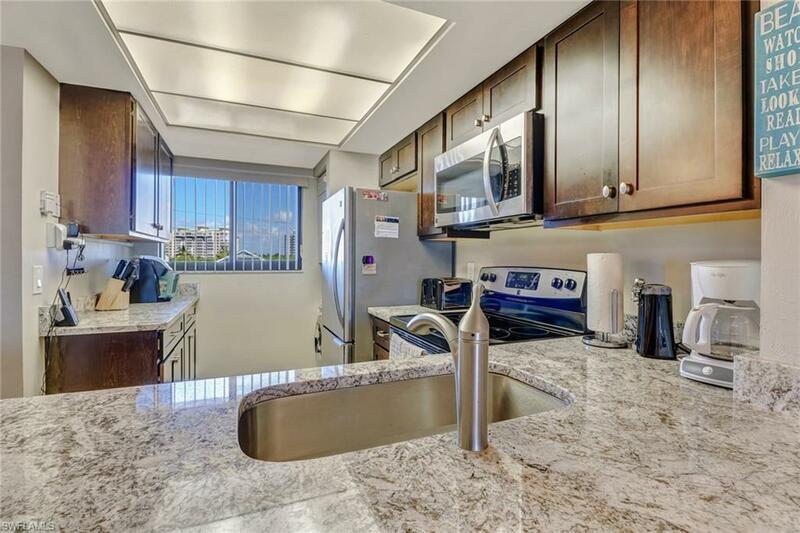 Carlos Pointe condominiums has it all!